Our business incubation space supports the development of hundreds of businesses each year, through the work of The Women’s Organisation and our on-site facilities. From virtual tenancy services and flexible co-working facilities, to permanent office spaces, we have the solution any stage of business. First Steps Enterprise is just one of those businesses who have found their home at 54 St James Street since receiving start-up support from The Women’s Organisation. Having started their journey with us as a virtual tenant, the First Steps Enterprise team are now a permanent part of the furniture! Started by husband and wife duo, Ian and Jennifer Merrison, First Steps Enterprise has children and family at the heart of its services. It specialises in supplying quality staff for children’s centres, schools, community organisations (and more!) across Liverpool and Sefton. Following recent business growth, the team also now operate a number of childcare settings across the region. We first met Ian and Jennifer when they received start-up business support from The Women’s Organisation back in March 2014. The pair initially took on a virtual tenancy at 54 St James Street, while running the business out of the spare bedroom in their family home. Since then the company has gone from strength to strength. Today, First Steps Enterprise have a permanent base in our offices, with three further settings across the region. Ian explains: “We chose 54 St James Street as our registered business address in 2014 because of the business advice we received from our advisor, Janine, which included a period of virtual tenancy as part of the Enterprise Hub programme. This worked well for us. Alongside their 54 St James Street base, the team now operate three settings across the region. These ‘Footprint@’ childcare settings include pre-school and after school clubs in Netherton, Formby and Ainsdale. The team explain that these settings have been a key part of their business growth. 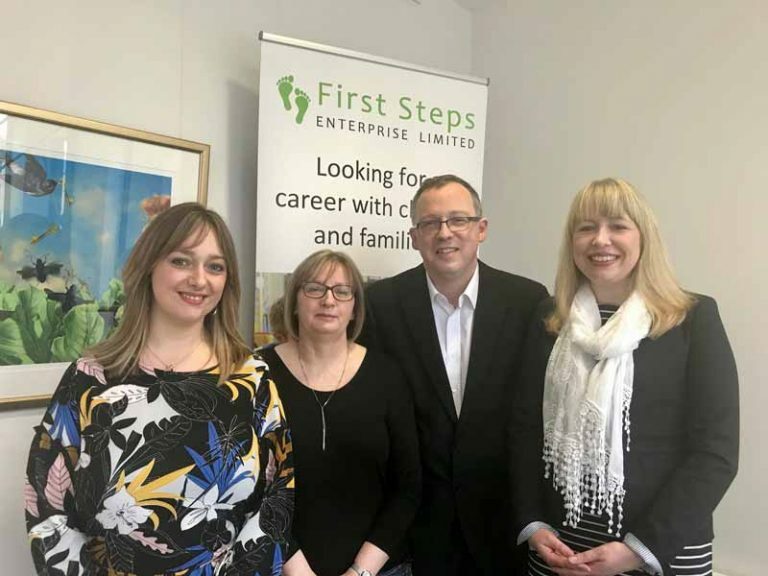 Sarah Mercer, deputy manager at First Steps Enterprise, told us more: “The development of the ‘footprints@’ settings has been significant achievement for us. Children are at the heart of all that we do and we pride ourselves on delivering the highest quality of childcare and education in our footprints@ settings. Speaking to the team, it’s clear to see just what an achievement opening these ‘footprints@’ settings has been – and rightly so! 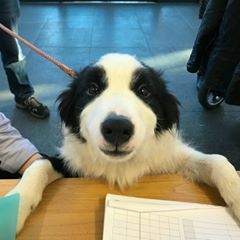 Having benefited from business advice when setting up the business, it seemed natural for the team to return for business support as they entered this exciting stage of growth. Working with business advisor, John Jones, the team were able to purchase one of their ‘footprints@’ settings. From a virtual tenant with an early stage business full of potential, to a permanent office space holder with locations across the region, First Steps Enterprise is a true success story and testament to the power of incubation spaces like ours. If you’d like to find out more about First Steps Enterprise, you can find the team on Facebook and Twitter, and online at www.firststepsenterprise.co.uk. Ian can also be contacted directly on 0151 665 0160. If you’ve been inspired by Ian’s story and want to find out more about our incubation space, click here. Or to find out if you’re eligible for start-up business support, click here.